(i) A plastered surface should be painted only after it has thoroughly dried, otherwise the paint would get spoil. 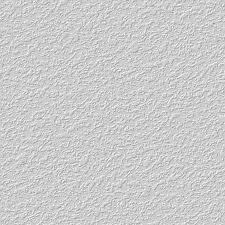 (ii) To avoid sucking of paint by plaster soak the surface with a pore filling solution which will dry off leaving an impervious surface. A wash of 1 kg of size, 500 gm of soft soap and 9 liters of creamy lime wash is recommended. (iii) Cracks or holes, if any, should be filled in with glaziers putty and the surface sand papered on its drying. (iv) First two coats should consists of white lead and boiled linseed oil. (v) Third coat should consist of white lead, linseed oil, desired pigment and a little turpentine oil. This coat is applied after the surface has been rubbed smooth. Finishing coat having the same composition as the third coat but having more of turpentine oil is applied when the priming coat is still tacky. In case of new plastered surfaces a solution of one kilogram of zinc sulfate in two kilograms of water should be applied to the surface. When it has dried then a coat of pure raw linseed oil is applied. It is followed by two coats of paint thinned with turpentine and a little varnish. Third coat consisting of white lead, linseed oil, desired pigment and a little oil of turpentine is then applied. Finishing coat may be the same as third coat but with a little more of turpentine oil. 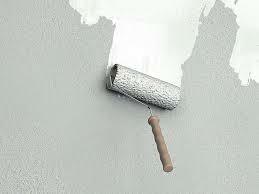 However, these days paints are available in market that can be applied directly on newly plastered surfaces. These are known as cement paints. Snowcem is a popular brand of it. These are mixed in water just before use and applied with brush to clean and wet surface. Normally two coats suffice. The second coat is applied 24 hours after the first one. painted surfaces are kept wet for 3 days.